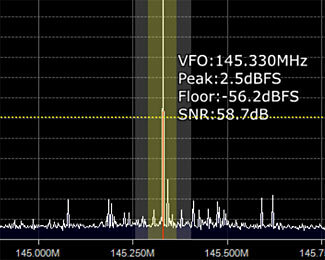 An example of a signal strength reading from a $25 SDR receiver and using free software on your PC. Essential for testing your Faraday cage. First, how much attenuation do you need? More is always better than less, but after a point, you reach a realm of vanishing returns and unnecessary extra protection. We suggest you should look for 40 dB (dB = decibel) of attenuation, and ideally over 50 dB. What do these numbers mean? If you reduce something by 30 dB, you have reduced its power 1,000 times. If you reduce it by 40 dB, you’ve reduced its power 10,000 times. If you think to yourself ‘every ten dB adds another zero to the number of times the signal is reduced’ then you’d be correct. So, after the lesson, the test. How many times would the strength of an EMP be reduced if it had a 50 dB attenuation? Please tell me that you answered 100,000 times. Clearly that’s a lot, isn’t it, and probably it is enough. Let’s see why we say that. A strong EMP effect will induce voltages in the order of 50,000 volts/meter (it is difficult for EMPs to exceed this – anything higher than that and the sky sort of ‘short circuits itself’, although there are rumors of some ‘super EMP’ weapons that have found a way to create higher voltages). If we reduce 50,000 by 40 dB, it is down to a trivial 5 volts/meter, and if we take it down by 50 dB, it is down to a hard to measure 0.5 V/m (ie 500 mV/m). To put this into context, a strong radio signal ranges between 1 – 100 mV/m. So after about 56 dB of attenuation, the strongest probable EMP is no more harmful than a strong radio signal – ie, totally utterly harmless. And we’ve at least 10 dB of overload above that and probably 20 dB before there needs to be significant concern about EMP damage to electronic circuits that are switched off. There is an interesting complicating factor. An EMP has a mix of different radio frequencies, and Faraday cages block different frequencies by varying degrees. In general terms, the higher the EMP’s frequency, the less the attenuation. So that begs the question – exactly what frequencies are likely to be found in an EMP? The short answer is ‘all of them’, which isn’t very helpful, is it! A better answer is ‘most EMPs are expected to concentrate most of their energy in frequencies below 100 MHz’. To put 100 MHz into a meaningful context, it is right in the middle of the FM dial. That is actually a bit of welcome good news. The lower the frequency, the better most Faraday cages work at blocking it. So if we test the cage at 100 MHz, we know that its blocking will be better at lower frequencies and that the 100 MHz result is getting close to a ‘worst case’ scenario. There are a number of ways you can do this test. This is the easiest of all the tests, and is also the least valuable, but as a quick rule of thumb test, it can tell you if your Faraday cage might fail, although it probably can not tell you if the cage for sure will succeed (testing for failure and testing for success are surprisingly different things). Take your cage and your cell phone to somewhere with good cell phone coverage. Ideally, go somewhere where the cell phone is receiving on the approx 850-900 MHz range of frequencies, rather than on the 1900 MHz set of frequencies. 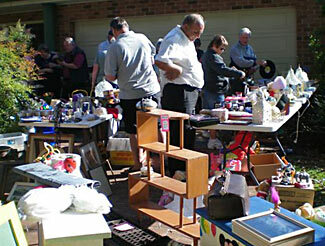 You can do this by using the excellent antennasearch.com website – put in your address, and then download all the different transmitters it finds close to you (chances are you’ll be surprised at how many there are!). Use the tower map to find a tower belonging to the wireless service you use and which has only 900 MHz not 1900 MHz transmitters on it, then go to it to test. This is more difficult than it sounds, and probably you’ll compromise by simply testing at home. That is okay, but to get a helpful result, make sure that your cell phone has four or five bars of signal strength before putting it in the cage. Close up your cage, and call your phone. Maybe you’ll be able to hear the phone ringing inside. If the phone rings, you know your cage is probably not working well. If the cage material insulates the sound, simply check to see if the phone reports a missed call when you open it up again. If it shows a missed call, that suggests your cage isn’t fully optimized. Your cell phone can probably receive signals down to a signal strength of about -115 dBm. You can probably get your phone to tell you the strength of the signal it is receiving if it is an Android or iPhone – here’s a good article on how to do so, and if you’re interested, this article tells you more. So if your phone was showing a signal strength of -85 dBm before it went into the cage, and it didn’t ring, you know that the cage is probably providing at least 30 dB or more of attenuation (ie dropping it from -85 to -115 or more) but you don’t really know how much more than the 30 dB it is giving you. And with only 30 dB of attenuation, that is close to a ‘failure’ so not hearing the phone ring, in this case, isn’t as positive as you’d think. So you need to interpret your phone results with care and caution. You may be getting either false positive or false negative results; it helps if you know the signal strength the phone was receiving before going into the cage, and what the minimum signal strength is your phone will work on. Plus, you are ‘torture testing’ your cage by checking its effectiveness at 900 MHz or 1900 MHz. There is unlikely to be significant energy in an EMP at those sorts of frequencies, and the cage will probably offer better protection at lower frequencies. 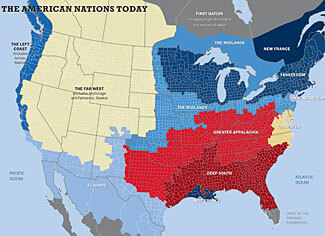 So let’s now look at a slightly more helpful test. If you can walk inside your cage, go in with a walkie-talkie and have someone outside with a second one. Close the cage up and see if you can communicate between the two of you. If you can, that is suggesting a ‘fail’; if you can’t, that is suggesting a ‘pass’ for your cage. 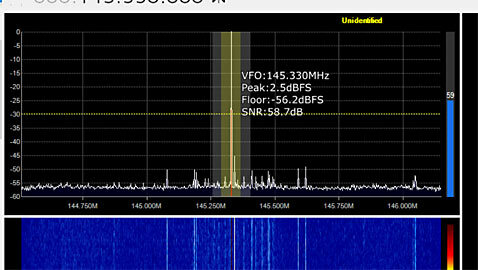 The walkie talkies ideally should be on the MURS frequencies (about 150 MHz). 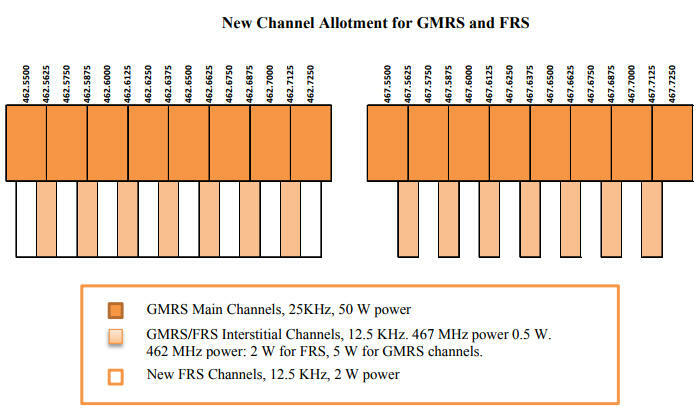 If you don’t have MURS capable radios, then FRS or GMRS (about 450 MHz) will work in a pinch, as well. CB radios would not give as meaningful a result. If you can’t walk inside your cage, that’s okay too. In slightly simplistic terms, a cage not only blocks external signals from traveling into the cage, but also blocks internal signals from traveling out. So all you need to do is use a rubber band to hold down the transmit key on a walkie-talkie, put it into your cage and close it up, and see if you are receiving any signal on the other walkie-talkie outside. Note that walkie talkies sometimes have a ‘timer’ that stops their transmitting after a period of time. Check that, when you reopen the cage, the walkie-talkie inside is still transmitting. This is a good test with fewer ambiguities than the cell phone test. You can be reasonably certain that if you can’t get a walkie-talkie signal through your cage, then it will block an EMP too. 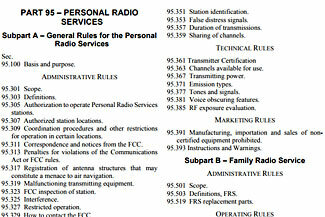 But if the radios can still communicate with each other, is that necessarily a fail? It depends on how much the signal strength has dropped. If one of the radios has an accurate S-meter on it, this is helpful. In theory, each ‘S unit’ on an S-meter represents a signal strength change of 6 dB, so you would want to see a 7 S unit movement or more between the two signals. However, particularly, with inexpensive walkie talkies, they either have no S meter at all, or the S meter they do have is woefully inaccurate. 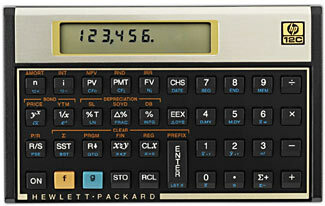 It is not prudent to rely on S meter values, even on quite expensive receivers. Good news. 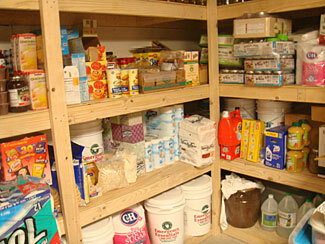 You can actually do a very accurate test of the efficiency of your cage with very inexpensive items. You want to have a walkie-talkie to place inside your cage, and use a SDR to measure the signal strength, accurately, on the outside. 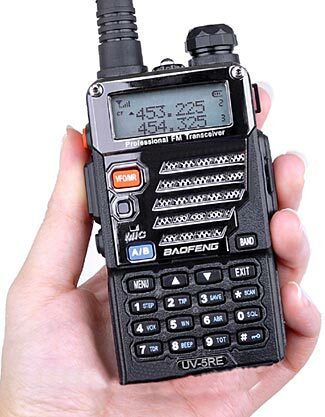 For the walkie-talkie; if you don’t have a bunch of them already, get a Baofeng UV-5R. While it is some years since we reviewed these lovely units, and while there have been later models released, the standard UV-5R, at a cost of around $30 each on Amazon, still remains an unbeatable value and excellent performer. 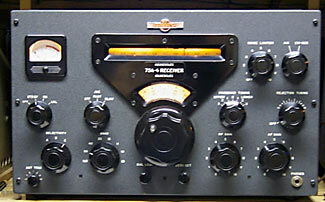 Tune it to a frequency around 145 – 155 MHz, it doesn’t really matter what. You could tune it down to a lower frequency (they work down to 136 MHz) but best to keep it around the radio’s ‘sweet spot’. But what is an SDR? The acronym stands for ‘Software Defined Radio’. Instead of a traditional radio with knobs and dials and everything, a SDR is a computer device – often in the form of a USB stick that connects into your computer, and which is then controlled by a computer program rather than by old-fashioned ‘analog’ controls. 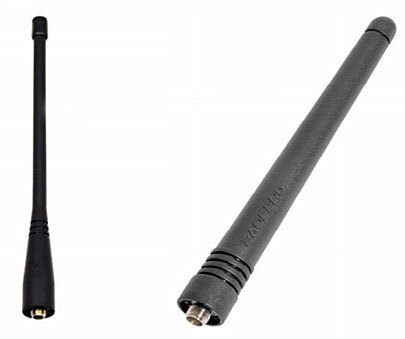 SDR radios have many uses for preppers, particularly as broad-band multi-mode scanners. We’ll write more about them in future articles. Tune to the same frequency as your HT (walkie talkie), make sure that you’ve zeroed out the RF gain and turned off the AGC, and you can get information on exactly the dBm signal strength that is being received by putting the cursor on the top frequency display. If the signal is too strong – ie, you don’t get a nice single peak on the SDR’s display, but a whole series of peaks and a general lifting of all the frequencies being monitored, take the antenna off the SDR and maybe replace it with just a very short piece of wire. Then stick the HT into the cage, close it up, and you’ll see exactly the drop in signal strength. Maybe you go from +5 dBm to -40 dBm, or something else. In such a case, clearly the cage has provided you with 45 dB of attenuation. How easy (and accurate) is that! In this screen shot (a larger view of the image at the top of the article), you can see that the display is monitoring a signal at 145.330 MHz, with a signal strength of +2.5 dBFS (forget about the FS, it means ‘relative to full scale’ – a concept which is not relevant to our needs). That is a very powerful signal, and as you can see, it ‘stands up’ a long way above the random background ‘noise’ (the other data tells us the background noise is 56.2 dB below full-scale, and so in total, there is a separation of 58.7 dB between the background noise and the measured signal) and some other weak signals that you see small peaks for. After getting your ‘out of cage’ reading, which this is, you then simply put the radio in the cage and get a second ‘in the cage’ reading. The difference between the two dBFS readings is the amount of attenuation, and hopefully it is reporting more than 40 dB. You shouldn’t assume your Faraday cage is giving you the protection you need and are relying on. 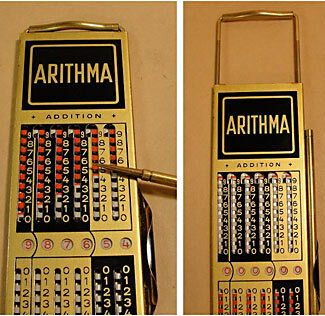 Fortunately, there are some relatively easy ways to test its functionality. Ideally, you should be getting more than 40dB of attenuation from your cage.